Absolutely thrilled to be leaving for New York City in less than 12 hours. I am very excited to see my family that lives in the area, very excited to run my dogs in such a cool event, and so so *so* excited to experience New York again, but this time with dogs. I have dreamed of living in the city for a couple years for quite a while now, but it has always seemed like such an impossible thing to do with dogs (and agility). So, silly as it seems, I am very excited to get a glimpse of exactly what I *might* be getting myself into a few years from now. 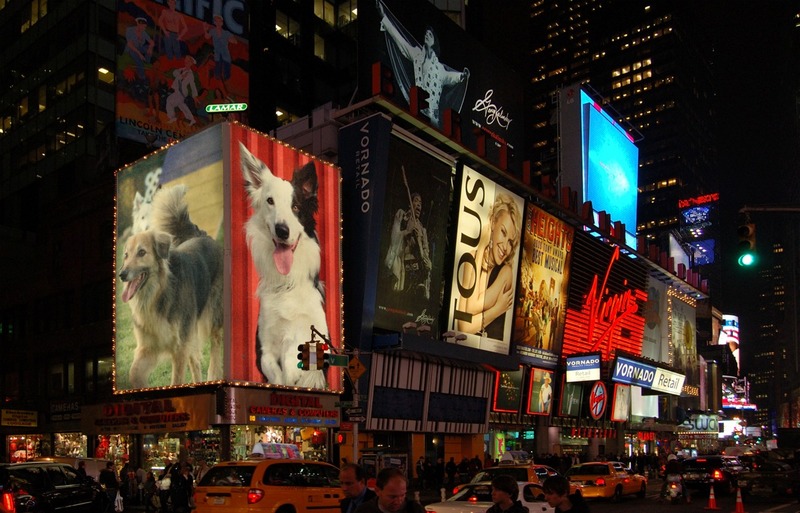 What [New York + dogs] blog would be complete without a fake photo of my dogs appearing in Times Square?